Palestinian amora of the third century. He was a contemporary of Joshua ben Levi and Johanan, and belonged to the school of Eleazar ben Pedat. 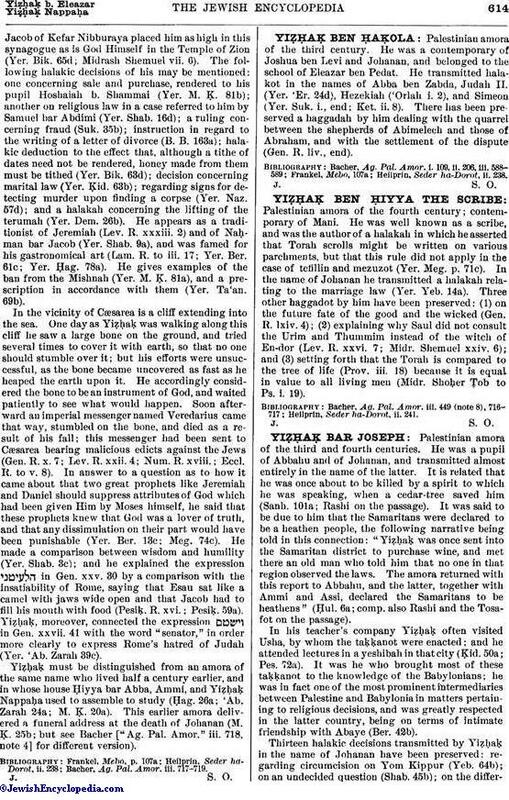 He transmitted halakot in the names of Abba ben Zabda, Judah II. (Yer. 'Er. 24d), Hezekiah ('Orlah i. 2), and Simeon (Yer. Suk. i., end; Ket. ii. 8). There has been preserved a haggadah by him dealing with the quarrel between the shepherds of Abimelech and those of Abraham, and with the settlement of the dispute (Gen. R. liv., end). Heilprin, Seder ha-Dorot, ii. 238.